Here is a nifty little guy from Etsy seller stuffaduck. 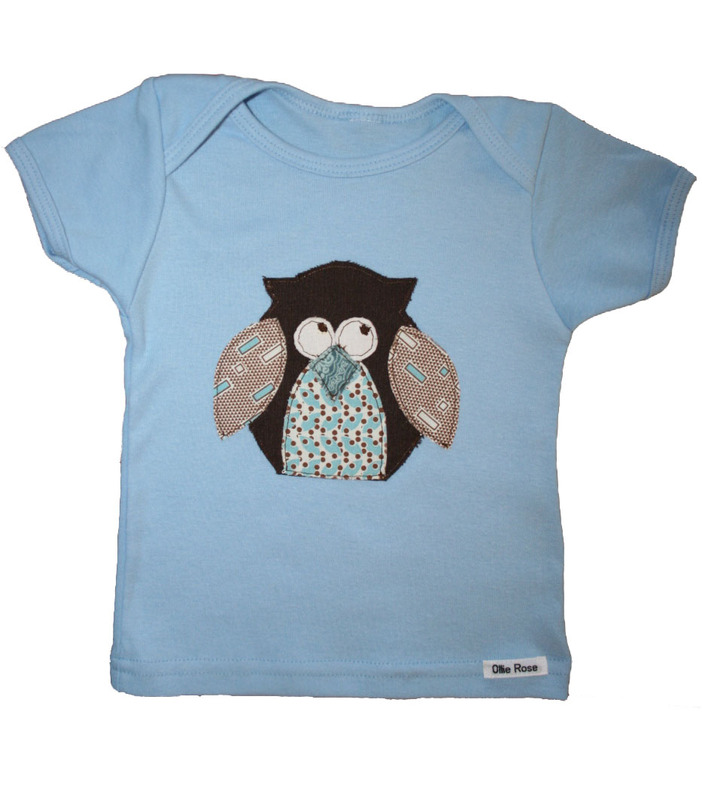 tees 2 knees has a great range of applique shirts and I especially like this spaceship one. 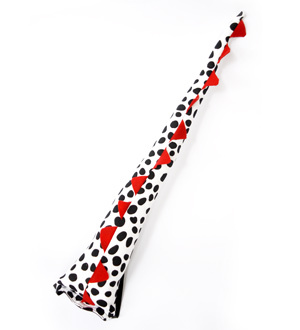 How cool is this funky dinosaur tail. You can find it at Ponz. This gorgeous little shirt I found at Ollie Rose . This little cowboy onesie is from Tickety-boo Kids. These pj’s are by JackKai. The pj’s are made from organically produced fabrics. 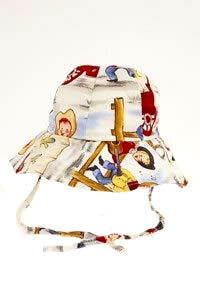 I just love this cute little sun hat from Chickpea such great vintage fabric. You can find this particular one at Ten in the Bed. 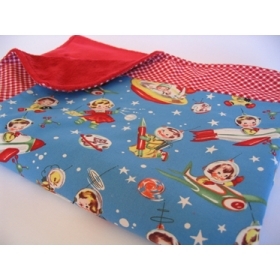 Also at Ten in the Bed I found this gorgeous rocket pram rug which is their own brand.